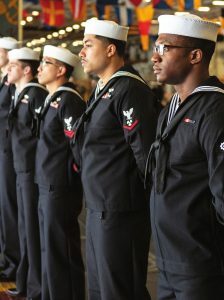 Navy Housing Service Centers support the mission readiness of the Navy by providing all military personnel and their families’ quality, affordable housing, lodging and hospitality services. Permanent Change of Station (PCS) housing check-in/check-out. Process Public Private Venture (PPV) family housing applications. Rental Partnership Program (RPP) is assistance for housing in the local community at a reduced rent. Security deposits may be waived or reduced. Military member must pay rent by allotment. Showing Service available on a limited basis to view available properties. Landlord/tenant counseling and mediation to help resolve complaints. Presentations, briefings, and training for fleet and shore commands, ombudsmen, and civilian community. comfortably afford to pay in rent. Sponsors home buying, home selling and property management workshops. These informative workshops are scheduled routinely. Individual and command counseling are also available. VHDA Home Ownership workshops for first time home buyers. Counseling on Homeowners Assistance Program (HAP), Home Affordable Modification Program (HAMP), and Foreclosure Assistance. Library containing a variety of housing information to help members and their families plan for their new duty station. Ensure Navy awareness of potential health and safety risks to residents in privatized housing and to engage in an advocate role for our service members and families, increasing visibility of PPV property management actions as they pertain to the health and safe ty (H&S) of residents living in privatized housing.